for Soil Testing - This is for mechanical analysis and also other laboratory applications for stirring Speed approximately 4000 R.P.M. under load. A dispersion cup is supported on a rest on the stand of the stirrer and has a removable baffle. 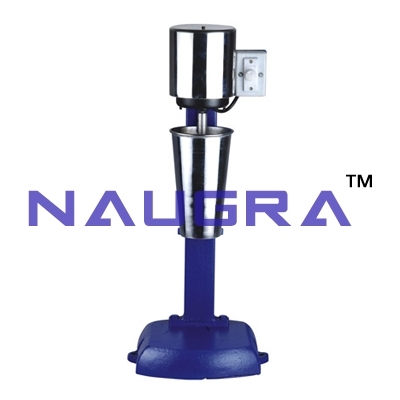 For operation on 230V A.C. supplied with dispersion cup or baffle cup..
We are leading manufacturers, suppliers & exporters of High Speed Stirrer For Testing Lab for Soil Testing Lab. Contact us to get high quality designed High Speed Stirrer For Testing Lab for Soil Testing Lab for schools, colleges, universities, research labs, laboratories and various industries. We accept bulk orders for government tenders in all countries around the globe.